Centrally located in the CBD, a short distance to the many attractions in the Latrobe Valley and the Gippsland regions. Fully air conditioned, each room is fitted with electric blankets, a microwave and a flat-screen TV with satellite channels. The en suite bathroom comes with shower and a hairdryer. The hotel offers the convenience of chargeback services so guests can enjoy food from surrounding restaurants in the comfort of their own rooms. Laundry services are available on-site. Fax and photocopying facilities are provided. A daily continental breakfast is served in the dining room. Gippsland is one of the few unique and diverse regions in Australia. It comprises of Snow Fields, Wilderness, Rainforests, Beaches, Industrialized areas, Farm Land and much more. 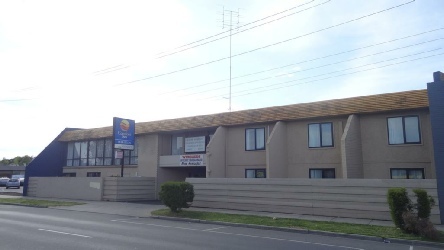 The Comfort Inn Traralgon is centrally located here. 2019 package holidays to the Comfort Inn Traralgon Gippsland Prices are per person based on two sharing, including flights and accommodation, and are subject to availability.